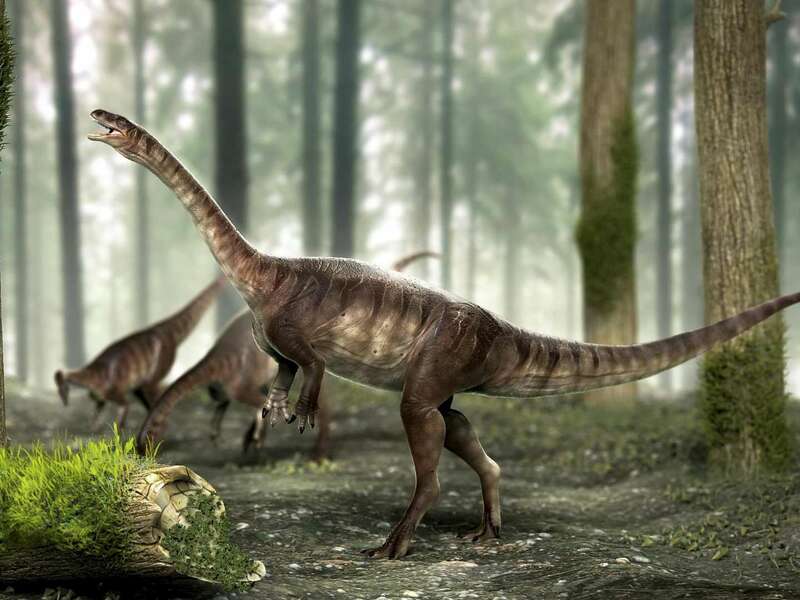 A group of paleontologists discovered in southern Brazil what has been described as the world's oldest long-necked dinosaur, university researchers said Wednesday. 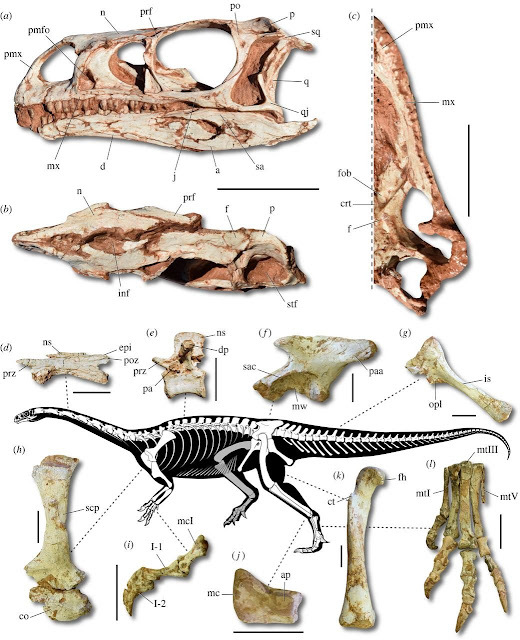 Their findings are based on analysis of three well-preserved dinosaur skeletons. The description of the new dinosaur species made by researchers at the University of Sao Paulo (USP) and the Federal University of Santa Maria (UFSM) was published in the latest edition of the scientific journal Biology Letters. The new species, named "Macrocollum itaquii," part of a group of dinosaurs known as sauropodomorphs - was identified after three complete dinosaur skeletons were removed in 2013 from Triassic rocks in Agudo, a municipality in the interior of the southern Brazilian state of Rio Grande do Sul, which borders Argentina and Uruguay. vertebra in left lateral view (CAPPA/UFSM 0001b). (e) Mid-truncal vertebra in left lateral view (CAPPA/UFSM 0001b). 0001b). (j) Right astragalus in dorsal view (CAPPA/UFSM 0001c). (k) Right femur in cranial view (CAPPA/UFSM 0001b). sac, supracetabular crest; scp, scapula; sq, squamosal; stf, supratemporal fenestra. The main characteristic of the newly identified species is its long neck, which stretched for 3.5 metres (almost 12 feet). That feature places the "Macrocollum itaquii" in the same group of sauropodomorph dinosaurs that also includes Brachiosaurus and Apatosaurus.